As the millennial capital of China, Beijing assembled culinary talent from all over the country to serve imperial families, government officials and rich merchants, creating its own distinctive hybrid local cuisine. Beijing cuisine derived from the cookery of the Chinese northern regions, mainly of Shandong Province, and was also influenced by different cooking styles from across China. It assimilates the cooking styles of Han, Mongolian, Manchurian and Hui ethnic groups. The food is made of carefully selected ingredients, highly diverse in variety and tastes, and eye-pleasing in appearance. Beijing cuisine is an essential part of local tradition, indispensable for the local residents and highly recommendable for visitors. People from different places and backgrounds may find what they like among a large collection of local food. Like the country’s former feudalist society, the development of Beijing cuisine shows a distinctive trait of stratification. While some culinary talent served royal families, aristocrats, merchants and landlords, there were numerous foodservices catering to common people. 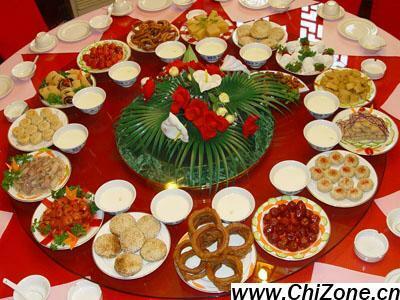 Thus Beijing cuisine is categorized into royal court cuisine, aristocratic household cuisine, special foodservices, and common household cuisine and snacks, based on the target audience. 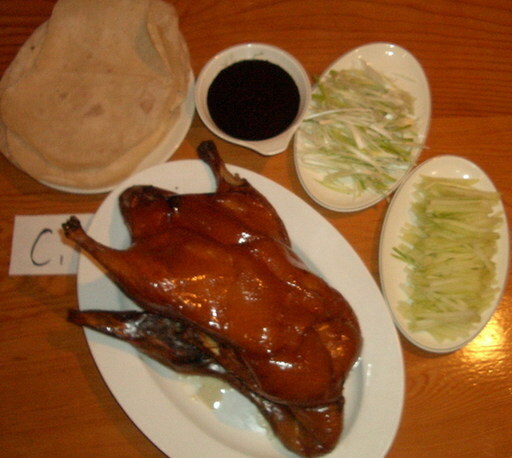 Peking Duck is certainly the most famous and distinctive cuisine of Beijing. The roast duck is said to originate from Chinese southern regions. The first roast duck restaurant is said to be established in 1614 during the Ming Dynasty. Currently two oldest restaurant chains, Quanjude and Bianyifang, are the most renowned places to have authentic ducks. In those places, eating fatty roast duck slices wrapped in paper-thin pancakes with sweet bean sauce and cucumber cubes is certainly a pleasant culinary experience for everyone. 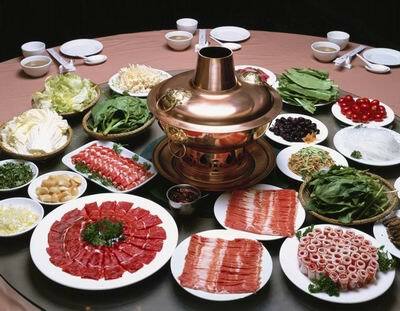 Another distinctive cuisine is mutton hot pot, which originated from Chinese ethnic nomadic groups. The making of the cuisine follows strict and refined rules. Mutton hot pot is superb feast for a number of people to share, chat and share drinks over. People can taste this authentic lamb hot pot at many spots in Beijing, including Donglaishun Restaurant. But the pinnacle of Beijing cuisine is none other than the Manchu Han Imperial Feast. It is a huge collection of more than 300 dishes and snacks, formerly reserved for emperors. 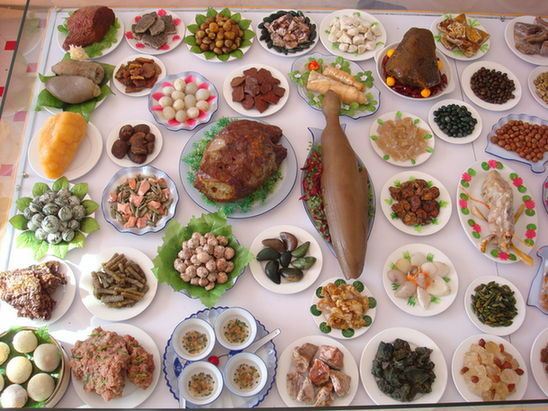 In the Qing Dynasty, the full meal was held for three days and required cooking methods from all over China to prepare. But the feast has long since ceased to be imperial privilege. Fangshan Restaurant, with imperial touches in its décor, is a nice place to try the meal. 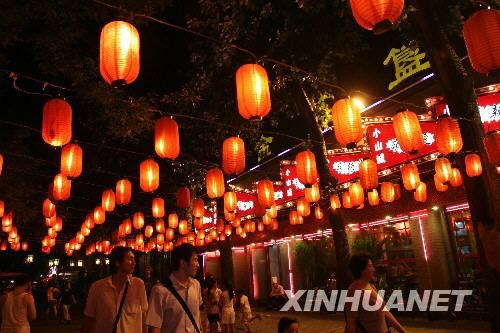 For food lovers and visitors, Beijing also has some gourmet streets to stimulate their taste buds, such as Gui Jie (Ghost Street), Qianmen Street and Fucheng Road. People can find various kinds of foods in those places ranging from local delicacies to Western food.